i’ve always wanted to collect something. but could never decide on what. my sister collected hotel supplies (there’s a story behind that) and shot glasses (so 1980’s). my aunt is a great collector of various themes. my mom had dabbled in various interesting artifacts. i used to gather matches from places we’ve been to but no one hands out matches anymore – i guess so they don’t encourage smoking. they also take up a lot of room. well, the wait is over, folks. i’m collecting city mugs by starbucks. this DOES NOT MEAN i am a fan of starbucks. i most certainly am not. way too mainstream for me. i am a coffee snob. however, these mugs have driven me slightly coo-coo obsessive. ask my friend and sister-in-law, susan and her husband , mike. i dragged them to 3-4 (maybe 5?) 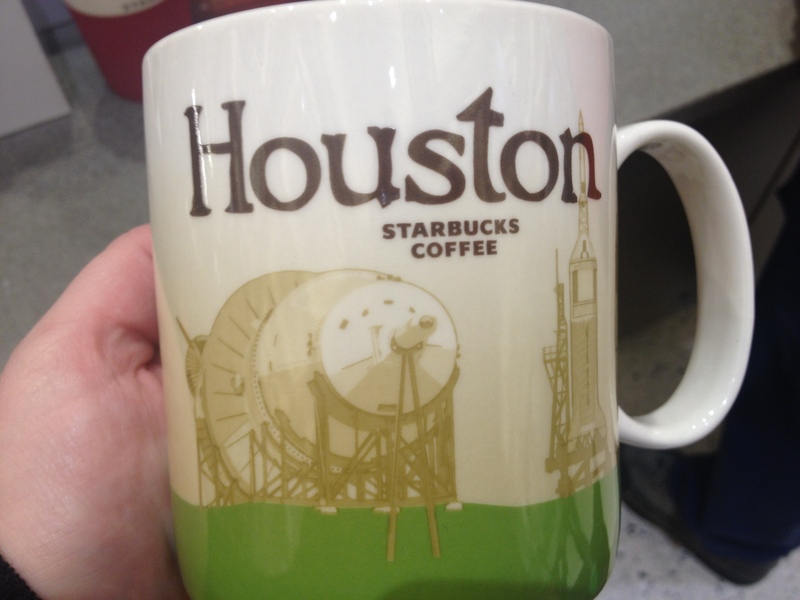 starbucks in desperate search of a san antonio city mug. as it turned out – they were out. like in the whole city. i find this fun because i travel a lot and i’m starting to get quite a fun collection of colorful mugs. this does not mean i won’t accept them from friends/family across the country (hint hint) as susan sent us an awesome indianapolis mug (because someone who shall remain nameless forgot to bring me back one when he was there) and a new york (!!) mug. they have these all over the world and i’d love to get a paris one – obviously from visiting paris. oh yeah – these are useable mugs. ROF and i drink our morning joe from these each day. got this yesterday, at the airport, once again. this was way up top, like on display and the lady looked at me like i was nuts asking her to get it down for me. ← the best peach cobbler in the south. Great idea! 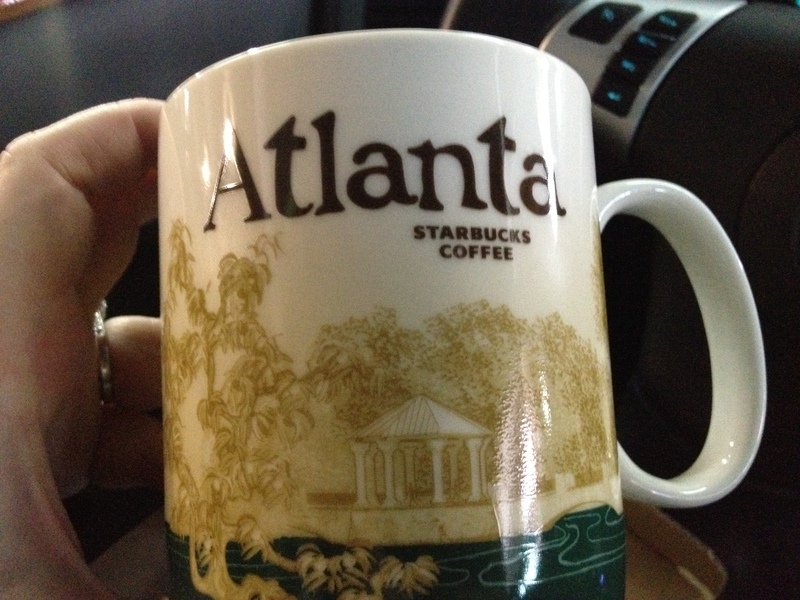 The cups are creative and help people appreciate the distinctiveness of each city! Way to go! Enjoy your Joe! Thanks Fran! Can’t wait to see you on Friday! 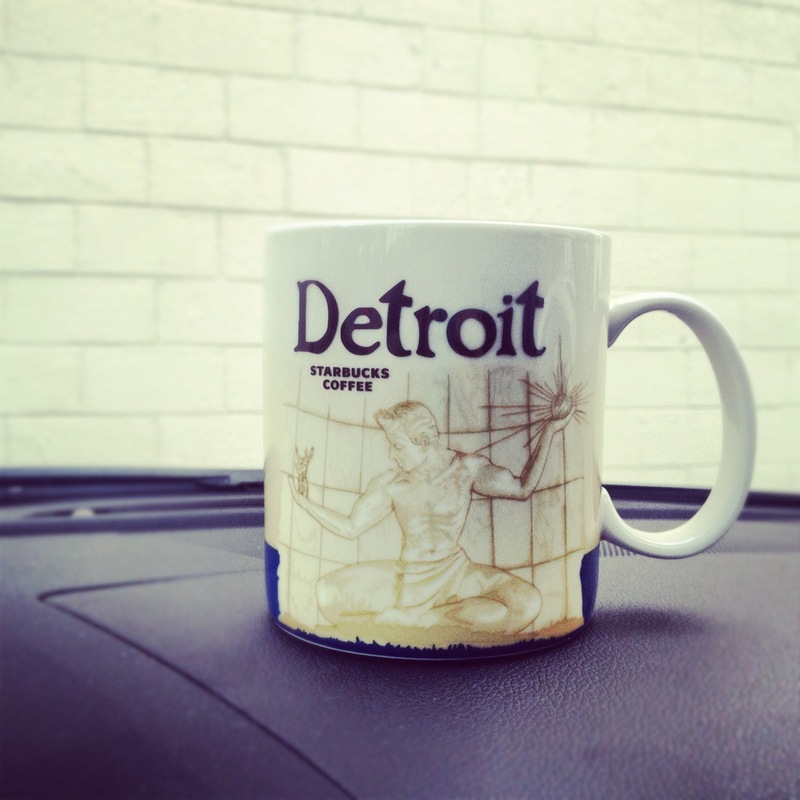 Breaking the 10th commandment over your Detroit mug! Oh my gosh, that comment just made me spit my coffee out of my mouth with laughter! LOL!!! Want me to get you one? I’ll be there all next week! How funny! I’m sure it was for her but that’s a good idea for nieces and nephews! Easy shopping – right?! Thanks for subscribing Stacy – hope you are doing great! Have a Brussels Starbuck’s mug from from my pal who has lived there for 5 years: you can collect international, too!! That is so cool!! I would love to get one from overseas !